The commercial toilet basins are commonly used in corporate or manufacturing settings, as well as bathrooms that are opened to the public. 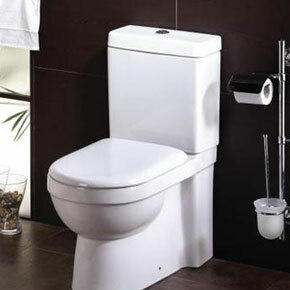 Unlike the toilets used in home environments, the commercial lavatories do not have a water tank, as they get the water for the flushing directly from the water pipeline. Because the flash valve mounted directly in the water pipe eliminates the need for a water tank, another feature of the commercial toilet is that it does not back up and therefore, presents fewer risks of overflowing with waste materials. Is it safe to sit on commercial toilet basins’ seats? Because they are used more frequently than private toilets, the commercial lavatories will require more maintenance. In addition, the increased traffic contributes to gathering more bacteria and dirt. However, rest assured that the toilets in most of the public places are cleaned at least once per day to avoid the spreading of bacteria and germs. This makes the restroom more comfortable for employees and customers alike. It is important to note that most public places that provide access to the bathroom for the customers and the employees commonly use cleaning products that are more concentrated and more powerful than the ones used for home toilets. Moreover, it is customary to add disposal toilet seat covers in the bathroom for easy and quick sanitation and to make everyone feel safe. All in all, the cleaner the toilet and the area around it, the safer it is. Should homeowners consider installing commercial toilet basins in their bathrooms? The answer to this question is that it all depends. If a certain homeowner has constant problems with the toilet set he installed, such as overflowing or insufficient flushing power, then the answer is yes, by all means consider installing commercial toilet basins. In fact, it would be quite a good idea if that person likes to invite friends over most of the time and the toilet is being used very frequently. On the other hand, if that homeowner has a small family and never has serious plumbing issues, then there is really no need for installing such a ‘powerful’ toilet.